Showing attorneys 1–15 out of 41 attorneys available for your search query. When an individual debtor can no longer meet his or her financial obligations, he or she may seek protection through a bankruptcy proceeding in Oregon. When an individual files for bankruptcy, he or she will usually file for either Chapter 7 or Chapter 13 bankruptcy. Under a Chapter 7 bankruptcy, the debtor's nonexempt assets are liquidated and his or her debts are paid off. Debts remaining after all nonexempt assets are liquidated are usually discharged. Under a Chapter 13 bankruptcy, the debtor is put on a court-ordered payment plan. 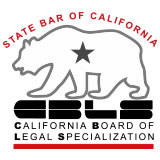 Contact a bankruptcy attorney for legal advice on filing a Chapter 7 or Chapter 13 bankruptcy. 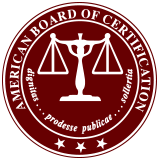 Board Certification in Consumer Bankruptcy Law - The American Board of Certification (ABC) is accredited by the ABA to certify attorneys as specialists in consumer bankruptcy law.